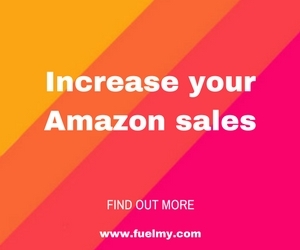 Name, email, Link to reviews you have written, Amazon Profile, Country, gender, age. I have been having a conversation with the owner, Kevin, for quite some time now. They are a London-based company looking for reviewers “all over Europe and USA”! They also have over 1.5M bloggers around the world. Sign up process is a more involved and detailed than most review sites. BUT! You know that review site we have all been looking for? The one that has a close relationship with reviewers and offers high end products for review? Yeah? Well, after talking with Kevin, it sounds like Review Directory is that review site! You will give the product or service the rating only you feel it deserves, whether that be 1*, 2*, 3*, 4* or 5* – totally up to how you feel the product was and service received. Reviewers and bloggers: visit the link below to sign up. Sellers: visit the link below and tell them The Reviewer Collective sent you. I have been reviewing for about a year now and am wanting to pitch some sellers, however, I really don’t know exactly what to say to them to catch their interest. Any help would be greatly appreciated. My confirmation email says that they I should hear from them soon. This is the only site where I’ve been unable to see any product examples at all. Maybe that means the products are too expensive to advertise to the public, like how outlet stores can’t say brand names on commercials sometimes. I hope I make the cut. I would be honored to be one of the chosen few who get to work with Kevin. This seems like a very honest company! I’m super excited to hear from this one!! Have you heard back yet with any products to try? I tried this have completed my first review, and can confirm that the arrangement is legit and ethical. With other sites I feel uncomfortable because they skirt around Amazon rules and/or have dubious ethics, but Review Directory feels honest. Amazon Terms of Service forbids requiring anyone to leave a review. Sellers have been, quite rightly, banned for that.